What was the most legendary drum corps show ever to grace the football field? Did you jump out of your seat as you observed the most amazing drill move? Which performance held you captive as you listened to the most beautiful musical arrangement? Was there a show where you witnessed something that changed the activity in a way that still had you talking about it years later? Halftime Magazine asked drum corps directors, instructors and fans to give us their take on the most legendary shows in drum corps international history. Here are their collective picks and what made those shows so special. Trying to determine the most legendary shows in drum corps is no small task. Sure, there are the “fan favorites”—such as Carolina Crown’s “Triple Crown” in 2007 or The Blue Devils’ “Big, Bad and Blue” that featured “When a Man Loves a Woman” in 1992—that captured the emotions and tugged at the hearts of fans around the world. You could even consider every championship show a legendary performance dating back to the Anaheim Kingsmen’s program capturing the very first medal in 1972. But even runners-up and other finalists may have had standout presentations but simply been ahead of their time. To help figure out which shows made a lasting impact on the activity, Halftime Magazine asked drum corps directors, instructors, members, alumni and fans to help us rank the top five most legendary Drum Corps International performances of all time. After 17 years, the most legendary performance in the history of DCI is still the most talked about show to date: 1993 Star of Indiana’s “The Music of Barber and Bartok” (2nd place, score of 97.30). However, the show didn’t even win championships, coming in second behind The Cadets of Bergen County. The show also included portions from Bela Bartok’s “Music for Strings, Percussion and Celeste,” work written for an unusual combination of instruments. Some who witnessed a live performance say the show design was way ahead of its time. “Medea’s Dance of Vengeance” became probably one of the most memorable drum corps endings in DCI. Built upon a succession of stabbing rhythms, unforgiving in its relentlessness, the blasting volume of Star’s horn line painted a striking picture of Medea’s final fit of rage, leaving the audience in a shocked and jolted daze. After Star won the DCI World Championship in 1991, he then focused on his third goal of changing the activity by taking a show concept where no designer has gone before. By playing music from obscure composers not really known for being a part of most drum corps musical repertoires, the musical design significantly divided the fan base; you either loved it or hated it. However, the visual design, which consisted of variations of body movement and dance, was a huge success as it took asymmetrical drill to a new dimension. The visual design was incredibly difficult yet amazingly clean. “We’re still talking about it,” says drum corps fan Wayne Barron. “Star didn’t care if the fans understood the show, they didn’t care how loud the horn line was, but what they did care about was being in control of everything in that show. Although The Cadets of Bergen County defeated Star by one tenth of a point, it was widely agreed that Star had the better show overall. After the 1993 season, Star of Indiana went inactive to take on a new direction in brass theater with the Tony Award-winning “BLAST!” that still runs today. Gone but not forgotten, the Star Alumni Corps will be performing an exhibition at the 2010 DCI World Championships with selections from its nine seasons of competition. Although known by many names, The Cadets Drum and Bugle Corps has also been known to produce a number of shows that can be considered legendary in their own right. The group’s innovations from the 1980’s have become worldwide standards. However, the 1984 production of “West Side Story” (1st place, score of 98.000) is thought to be one of the most legendary shows of all time. George Hopkins had taken over as executive director only the year before. Since then, he has been one of the leading architects of modern-day drum corps and was named to the DCI Hall of Fame in 1997. His team consisted of eight other soon-to-be Hall of Famers. 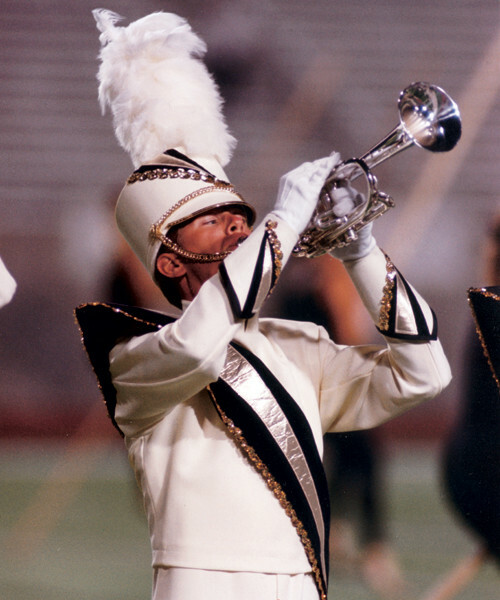 The Cadets design team had already taken asymmetrical drill design to new heights in 1983 with the help of legendary drill designer, George Zingali, who created the “Z-Pull.” With this and other unique moves, The Cadets went on to be the first drum corps to win three consecutive DCI World Championships in 1983, 1984 and 1985. But the 1984 season wasn’t always perfect. During the show in Whitewater, Wis., a dozen members of the horn line fell during the Z-Pull move at the end of the show. When Phantom Regiment announced that it would be performing “Spartacus” for the third time in its corps history, some rolled their eyes. Others, however, felt this was a “golden” opportunity for the corps to rise to the top of the DCI elite. Under the direction of Rick Valenzuela, the dreams of the 2008 Phantom Regiment members, staff, alumni and fans came true. Not only did Phantom Regiment win its first lone championship (the first was a tie with The Blue Devils in 1996), the corps made its mark in legendary status by taking storytelling to the next level. In the decade of amplification and vocals, this modern-day production was done without a narrator explaining the scenes. Despite the fact that Phantom Regiment performed this show only two years ago, it is already achieving legendary status as it stole the hearts and minds of the drum corps community. Phantom Regiment started the championship competition in 4th place, fought its way to 3rd place in quarterfinals to 2nd place in semifinals and then finally to 1st place in finals. That year, the members also put more emphasis on knowing corps history and being “one corps” vs. a group with three sections. One of the most recognizable musicals to ever hit the football field, “Phantom of the Opera” (1st place, score of 98.800) by Andrew Lloyd Webber has probably been watched by more aspiring drum corps members than any other production since 1989. Santa Clara Vanguard’s production vaulted the corps to DCI World Champion status after coming in second place four consecutive years prior. That wasn’t the first time that Vanguard had performed music from “Phantom.” In fact, the very same show concept was performed in 1988 with different musical arrangements and visual design, not unusual for that decade. Only this time, Vanguard added a few bells and whistles along with a little magic. The show was visually more complete: The horn line and battery members wore “Phantom” masks, larger prop masks were spread around the field, adding a themed backdrop for the musical, and the pit performed in “masquerade” masks. Although other drum corps such as the Sky Ryders and Velvet Knights were already wearing non-traditional costumes in their shows, SCV was able to get the most out of its props to maximize its general effect score. This reincarnation of “Phantom” literally brought the essence of the musical into the stadium. For Christina Mavroudis, who has been involved in the drum corps activity for more than 32 years as a performer and reporter, witnessing “Phantom of the Opera” was a life-changing event for her and her daughter. To clinch legendary status, the show designers capped off the final moments with one of the most memorable magic tricks in DCI by making the entire drum corps disappear. The baritone soloist (who was dressed as the Phantom) “vanished” under a sheet while seated in a chair. As the crowd’s attention was focused on the disappearing Phantom, the rest of the drum corps “vanished” behind the large prop masks spread around the field. “Most of the magic of our shows came straight from Gail Royer’s standards set for the corps from the beginning, along with very strong members and staff,” says Ralph Hardimon, the percussion arranger and caption head from 1976 to 1990. In one of the most stunning come-from- behind victories in drum corps history, the Madison Scouts captured the DCI World Championship in what proved to be a very mysterious conclusion to the 1988 season. The Scouts accomplished a lot of goals that year— such as performing part of the summer in Europe and celebrating its 50th anniversary—but winning the championship was not even on the radar screen. Many felt the Madison Scouts were a “dark horse” coming into the DCI World Championships. Part of the show’s legendary standing comes from a change in DCI’s procedure that year. The format was unlike any other championship in DCI history. For the first time ever, prelim scores were not announced and the judging lineup for finals was selected at random from a pool of judges. Also, DCI determined the performance order for finals by having the corps directors “draw a number from 1 to 12 out of a hat.” The corps were split into two groups between the bottom seven and top five corps to accommodate the live television broadcast where only the top five would appear. Placing 7th in 1987, the men of Madison were surprised to find they were drawing a number from the top five in 1988. 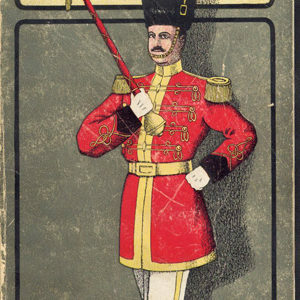 The corps drew #11 and went on second from last before the Garfield Cadets. Little did anyone know that the Scouts were already ranked #1 coming out of prelims. Paul Bailey who marched in the low brass section as a rookie, says that some people told him, “DCI finally got it right,” and there was a sense that maybe the activity would be going in a different direction. However, history would never repeat itself again as the “mystery” format was voted down the next year and reverted back to its predictable nature. Gregory M. Kuzma (www.gregorymkuzma.com), who simply goes by “GM,” is a freelance writer and the author of the book “On the Field From Denver, Colorado … The Blue Knights!,” which highlights his 1994 summer tour adventures as a drum corps member.